One in five people experience mental illness. There is significant work to be done to maximize the availability of mental health resources and services to meet the need in our communities. "Mental illnesses can lead to drug abuse." This straightforward assertion from Comorbidity: Addiction and Other Mental Illnesses, a report issued by the National Institutes of Health's National Institute on Drug Abuse (NIDA)1, underplays the complexity of recognizing and effectively treating mental health disorders and diseases, including addiction. In just about every instance, the Marian House alumnae whose stories follow in this section spent years suffering from mental illness that was either undiagnosed or untreated: Mary Bonds suffering "from major depression" following a childhood trauma; Terona Hopkins being "really, really depressed" and it leading her "down the wrong path of life"; Terri Randolph-Spence, who was "diagnosed bipolar" at an early age but who came from a family "that pushed everything under the carpet”—the examples go on and on. The consequences of failing to attend to mental illness are consistently devastating: "I didn't know I could get help with, like, depression, so I was turning to different things to fill the void ... I knew it was a matter of time before I was headed to the morgue ... " (Sharon Cannon); "I was just plain lost ... I would use coke to numb my feelings ... " (Nalisha Gibbs). In these and other instances, the women's turning to drugs only added to their problems, as addiction itself became a primary disease with which they needed to cope, and which in turn exacerbated or activated other mental health disorders. The savage relationship between drug abuse and other mental health complications is well documented. According to the NIDA report, "Many people who regularly abuse drugs are also diagnosed with mental disorders and vice versa. "2 The report goes on to note, "Certain mental disorders are established risk factors for subsequent drug abuse-and vice versa. "3 It is little wonder the Marian House alumnae experience their falls as downward spirals, with one bad situation engendering another: "I just thought, I’m gonna get drunk and feel good for a short time.' But later on you feel just as bad as you did before you drank" (Mary Bonds). NIDA's assertion that "correct diagnosis is critical to ensuring appropriate and effective treatment"6 is well supported by the experiences the women had with Marian House: 'Tm so glad I came here to the Marian House ... They give you the psychological help that you need .. . I do have bipolar disorder, I do have PTSD ... that counseling here and that extra boost that I needed, it really helped ... " (Nalisha Gibbs); "They hooked me up with a therapist and a psychiatrist so I could get my medications and receive my therapy treatment ... " (Terri Randolph-Spence); "They knew I was depressed, and they tried to help me every way possible ... " (Mary Bonds). Each woman's complex collection of issues was recognized for what it was, and as a consequence they each found understanding, effective support, and ultimately control over their own lives. Remaining alert to the likelihood of comorbidity (the concurrent presence of more than one mental disease or disorder) is critical to successful treatment. "Failure to treat a comorbid disorder can jeopardize a patient's chance of recovery,"7 notes the NIDA report, and anecdotes in this section—from Natisha Gibbs' plea to "those running the city to be more sympathetic with people who have substance abuse problems" to Mary Bonds' insistence on listening "to people that are supportive ... some­body that has your back like the staff at Marian House ... “—underscore just how important it is to comprehend the nuances of mental illness, and not vilify those who suffer from it. 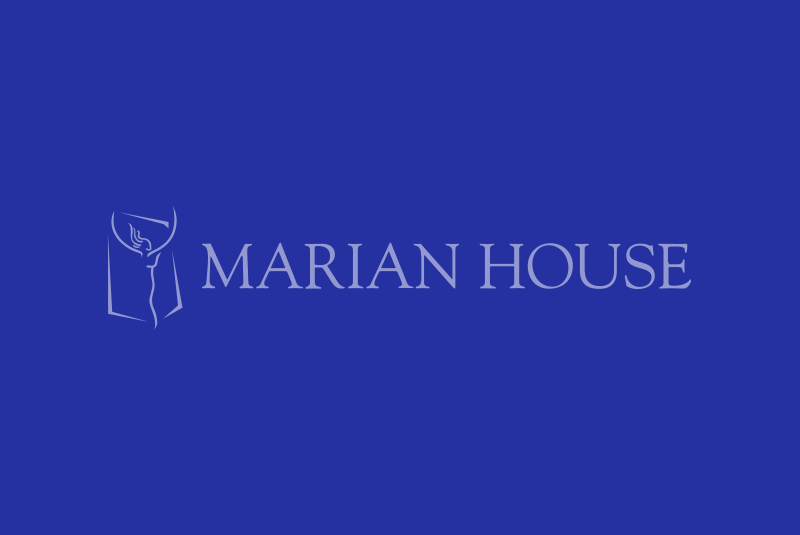 Katie Allston, Executive Director of Marian House, and Kathleen LaVina, Clinical Supervisor and Special Projects Coordinator for Marian House, discuss challenges around mental health, and overcoming them through support services. Marian House alumnae Mary Bonds, Nalisha Gibbs, Terri Randolph-Spence, and Helena Weathers discuss struggles and successes confronting mental illness.